Vacation rental apartment. Sleeps 2, 0 bedroom, 1 bathroom. No pets allowed. 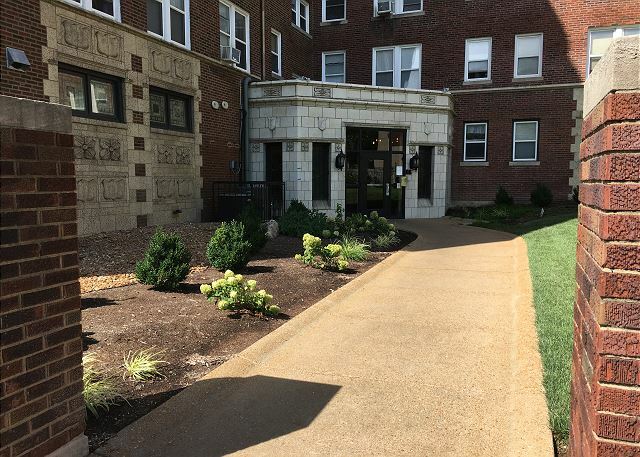 The Targee is a fully furnished studio apartment on the third floor of a high-rise apartment building across the street from St. Louis University. 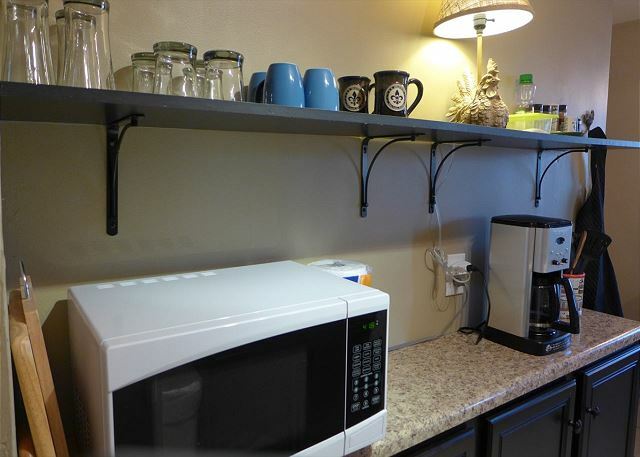 You'll enjoy fast Internet, all linens, and a fully stocked kitchen. We start your stay with light breakfast foods, welcome beverages and a selection of teas. Sleep well on the top-quality Queen-sized bed. Free permit parking is available, first-come, first-served. But you don't need your car here! This is a transit- and bike-friendly location. The Targee is four miles directly west of the Gateway Arch and 3.5 miles west of America's Center. A 24-hour supermarket is two blocks away. 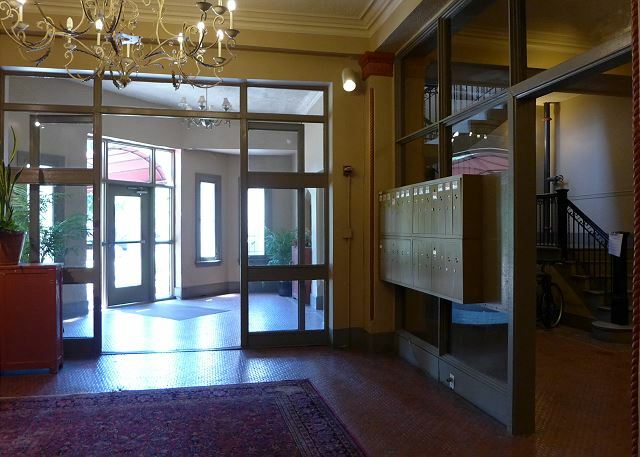 Numerous restaurants and bars, coffee houses, and all the amenities of a great urban center are within walking distance. The apartment has WIFI, and an antenna for local stations on the flat screen television. You are welcome to log into any streaming services to which you subscribe, through the Roku Box. The Targee includes all the basics. 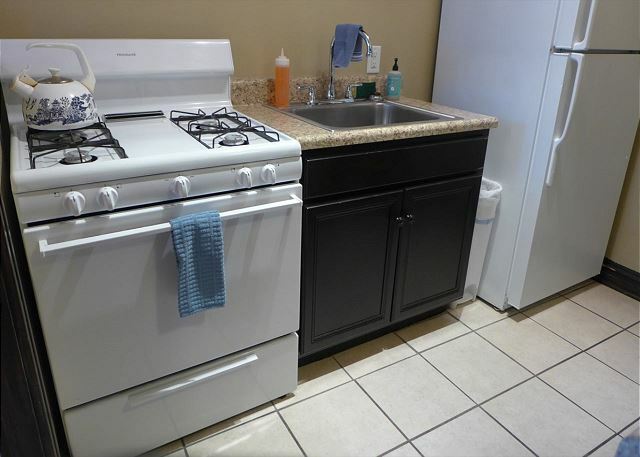 There's a large gas range, frost-free fridge, microwave, coffee maker, toaster, dishes, cookware and utensils. Yes, there's a hair dryer, iron and ironing board. Two-night minimum on weekends. We use dynamic pricing to ensure competitive rates. Sorry, while we all love them, we do not allow pets at the Targee. The Targee is on the third floor of a seven-story building. You may access the apartment by stairs or elevator. The apartment is all yours! 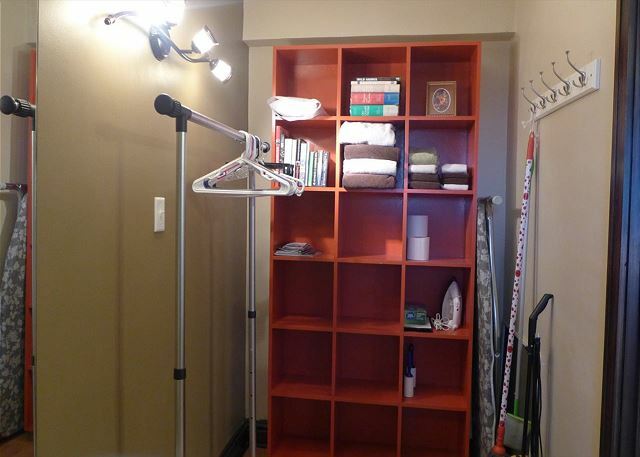 There is a shared coin-operated laundry room in the basement, and shared hallways with other guests and residents. 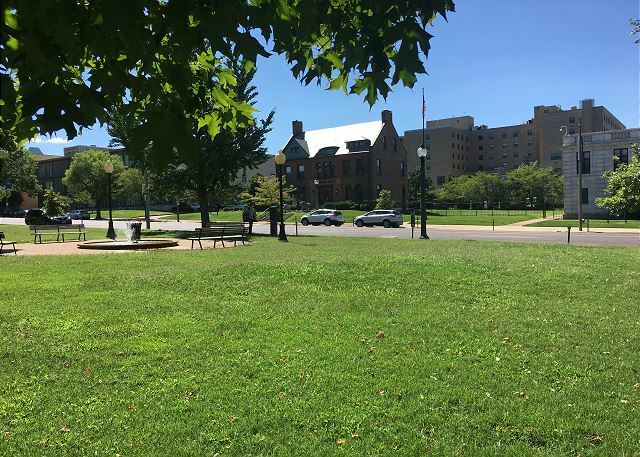 Parking is first-come, first-served with a permit that you'll receive upon arrival. Please note that demand is greater than supply. 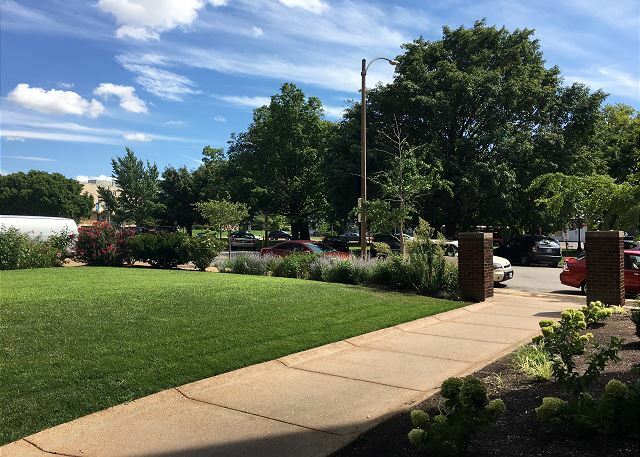 If permit parking is already full, you may park at any nearby metered space at no charge between the hours of 7 PM and 8 AM Monday through Saturday, and all day on Sunday. The Targee has window-unit air conditioning. We pull the air conditioner out of the window by the middle of November to clean it and store it for the winter. We reinstall the air conditioner in April. If you feel like you need an air conditioner outside of this schedule, please discuss with us. We will do our best to accommodate. In the winter months, the heat is controlled by a central boiler that runs steam through the radiators. The boiler is scheduled to run 3 to 6 times a day, depending on the weather forecast. The Targee also features a high quality space heater if you get too chilly between runs. “How far is it to the Fox?” The Targee is about 0.6 miles from the Fox. You should be able to walk there in 10-15 minutes. We’ve had lots of actors from the Fox stay with us! "How far is it to the America's Convention Center?" 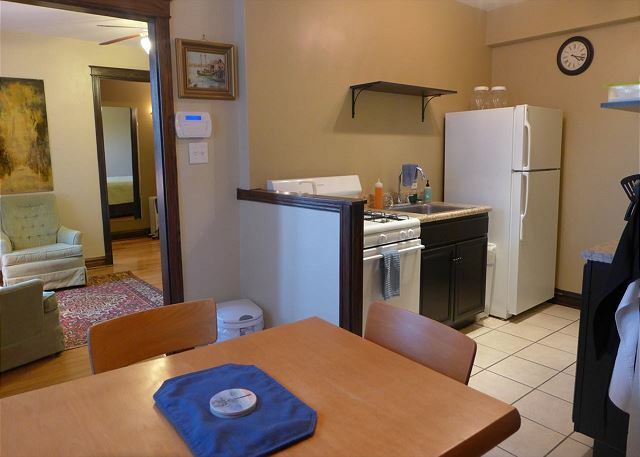 This apartment is about 3 miles from the Center. It should be drivable in about 15 minutes, or you may take public transit. “Is it safe?” Several of our staff members live in the building and have never had any problems. Owner Karen has lived just three blocks away for more than 30 years and absolutely loves her neighborhood! Anywhere you stay, whether in the city or county, you should be aware of your surroundings. Anywhere you park, you should never leave any valuables clearly visible. 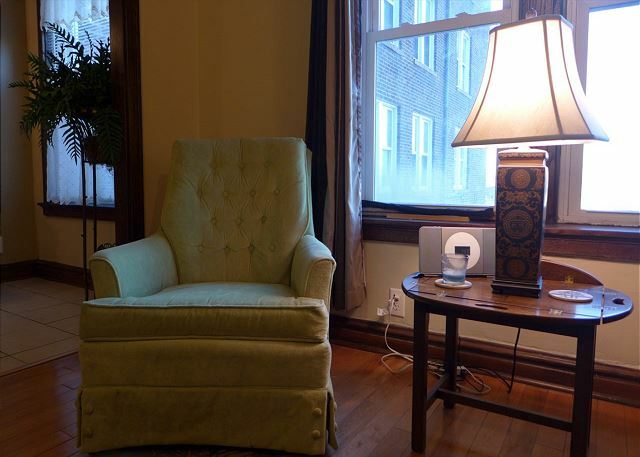 This studio is a great value for the cost and a visit to down to St Louis. 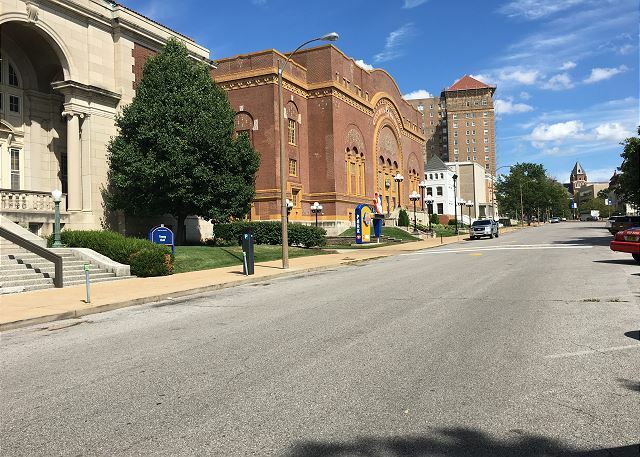 It's located close to SLU, the Fox Theatre, bus lines, and dining. Our room was comfortable, quiet, clean and well furished. There were even some nice "extras" supplied by the owners. We stayed gone all day so it was a nice place to come back to. 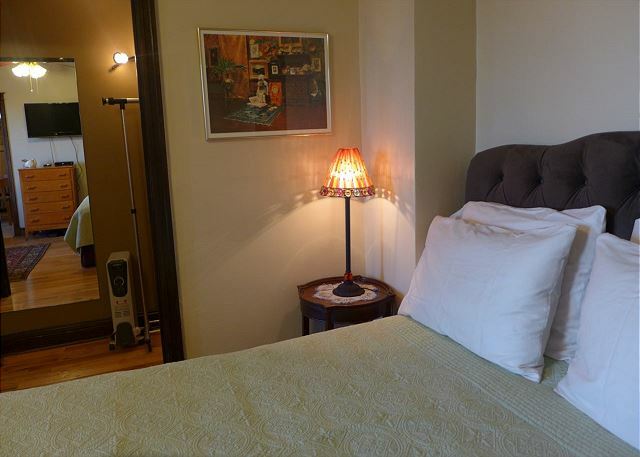 The apartment was clean and cozy and in a great location to explore the city. I really loved my stay at the Targee. I picked the the property based on the location. I was only in the area for a few days and did not want to stay downtown. As a woman traveling alone I felt completely comfortable and safe. Everything was as described and I enjoyed being able to settle in and have some space. I was able to ride the Metro to and from the airport as well as use it to go sight seeing. The neighborhood was fun to explore - great restaurants and good coffee nearby. I would definitely stay here if I was ever in the area again. 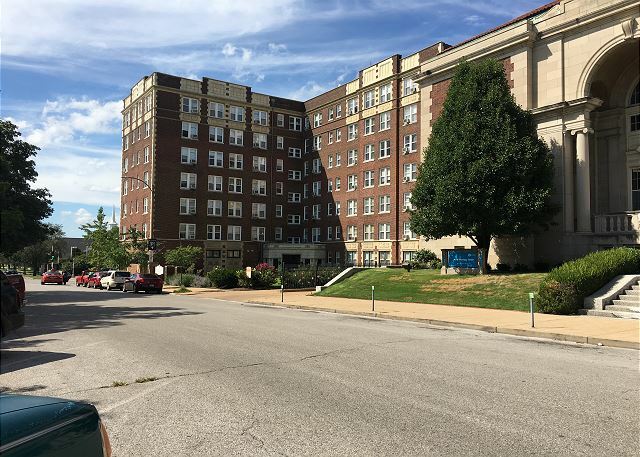 I stayed for just over three weeks in the Lindell Park Apartments. The apartment was stocked with everything I needed. The bed was comfortable and having a full kitchen was so nice! Great people to work with! 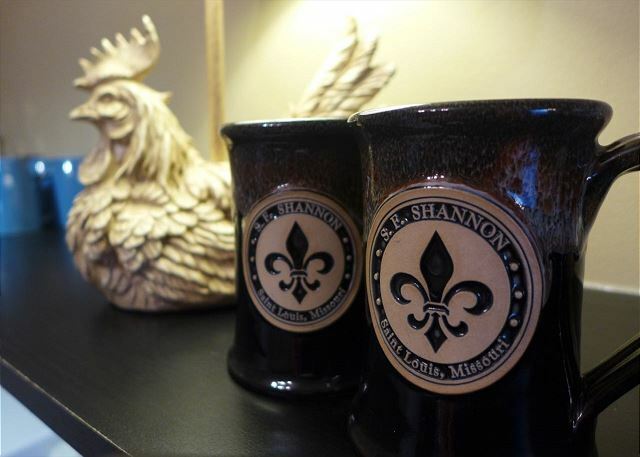 Each stay at an SF Shannon property has been fantastic! The Targee was comfortable, very convenient, well stocked and so charming! Check in and check out are made simple and any need has always been attended to right away! We loved our experience in St. Louis. The Targee has everything you need to maintain the comforts of home while being within 15 minutes of all of the main attractions of the city. My husband and I visit St. Louis every few months but this was hands down, the best stay we’ve had. The room was comfortable, clean, safe and homey. The neighborhood was close to everything and even had a bakery on the main floor of the building. We reached out to the rental company when we had a quick question about our parking pass at checkout and even though it was a Sunday, we received an immediate response. We can’t wait to come back! 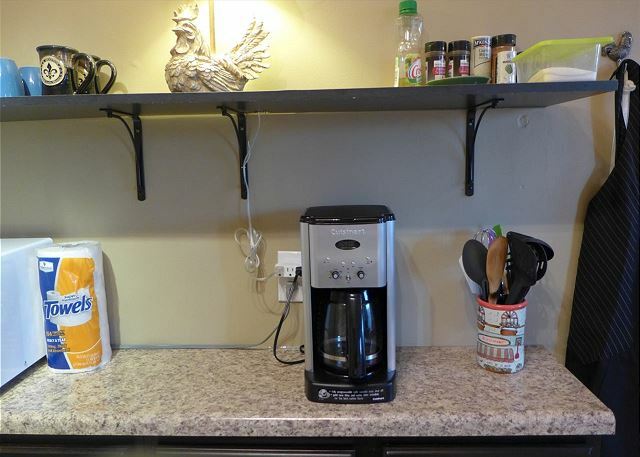 This is an excellent space with everything you could possibly need. We were here for 18 nights whilst visiting our son. The apartment was spotlessly clean and comfortable. 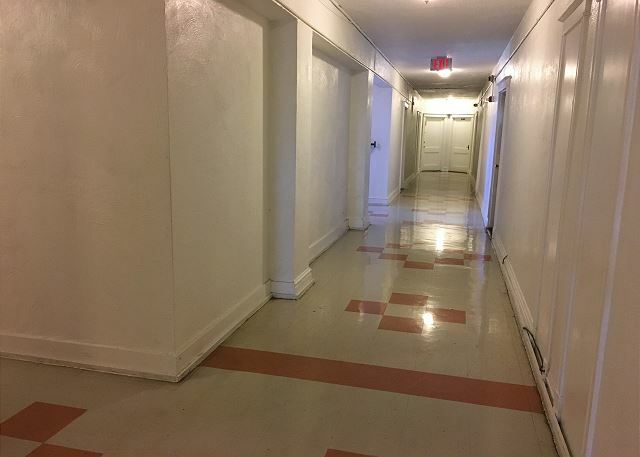 It is in a good location with a bus stop within 100 yards of the front of the building which was useful to get downtown or out to the central west end where our son lives. Its also only a short walk to Schnuks. There were nice welcome goods in the fridge when we arrived. 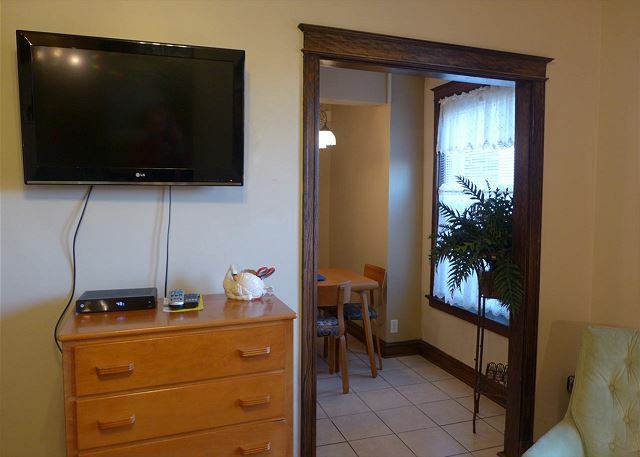 Overall i would definately recommend this apartment, and it was great value for money. 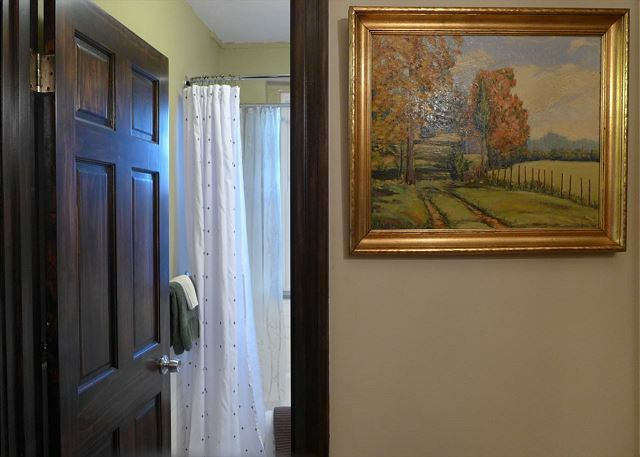 This vacation rental was absolutely marvelous! Everything you need is on hand the kitchen is quite nice as is the bathroom in the bed is very comfortable! I highly recommend this rental! We had a very nice time in the Targee. It had plenty of space and everything we needed. 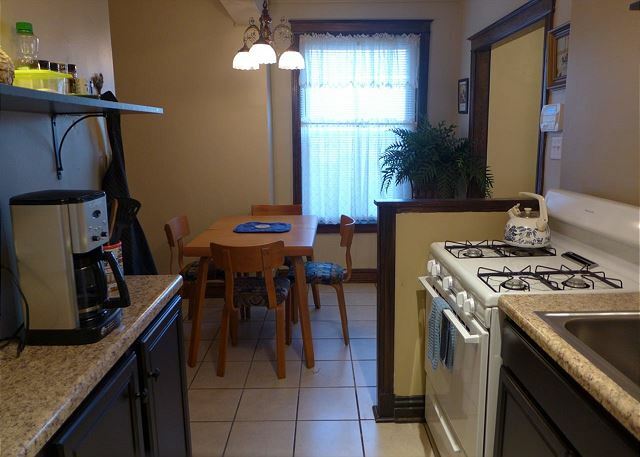 The kitchen was outfitted well and it was minutes to the center of the city. One thing we found curious; the elevator always had a baby powder scent to it. It was a charming and fun stay. Central to many St.Louis sites. Nice little French pastry shop in the corner of the building. 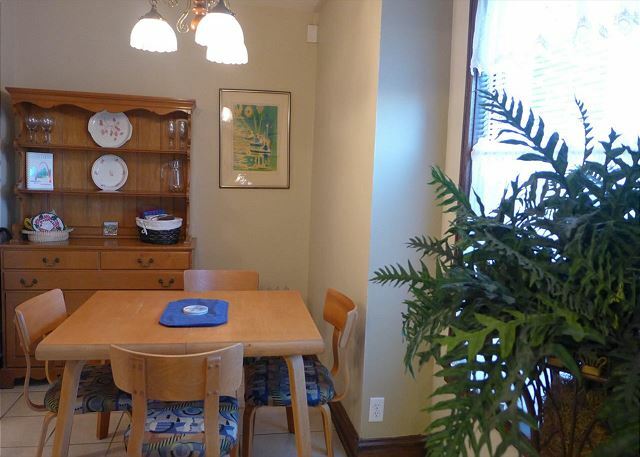 Great space with everything you need! Good place with some restriction. Car parking was nightmare, no washing machine, nither dish or clothwashing. The bulding is old but well maintained. Apart rom car parking problem and washing machines, the place is very good. Totally enjoyed the stay. Bringing old world feel to modern convenience. This apartment was perfect for my sister and I to stay in for a long weekend. It was extremely clean, well stocked, and comfortable. 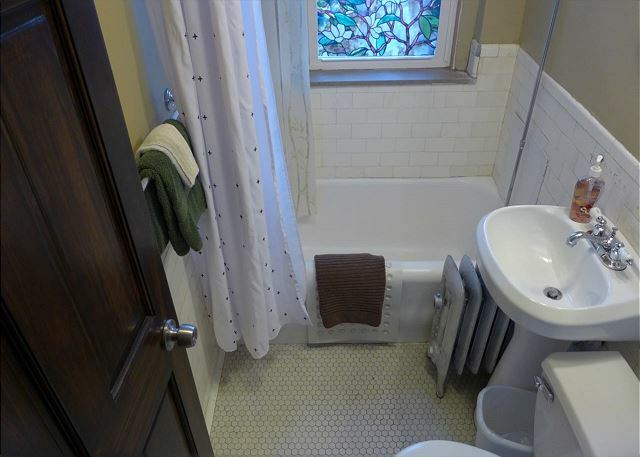 Just enough "old St. Louis Charm" with necessary modern conveniences. Location was great and all of the apartment residents we met were very friendly. A very nice room with many comforts. The bed was quite comfortable. no sound barriers between room, halls, and stairwell. . but a very comfortable room and nice location. The Targee was an affordable, nice stay. The decision to stay at this property was well worth it. I fell in love with the vintage decor and location. In the heart of the Central West End, it makes commuting very seamless. Whenever I visit Saint Louis, I know where I'll be living! 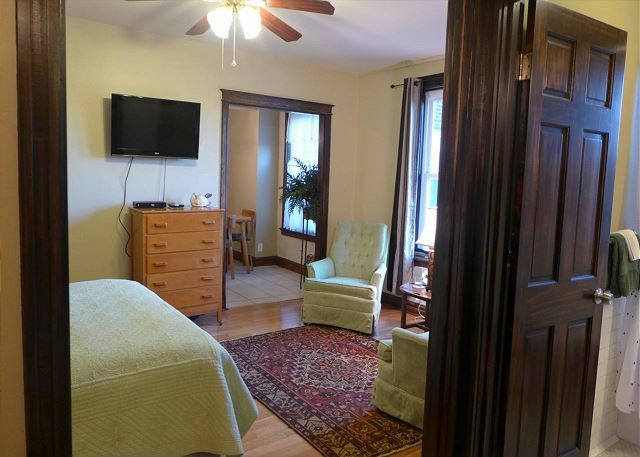 Comfortable studio apartment in older, well-maintained building. Attentive management. 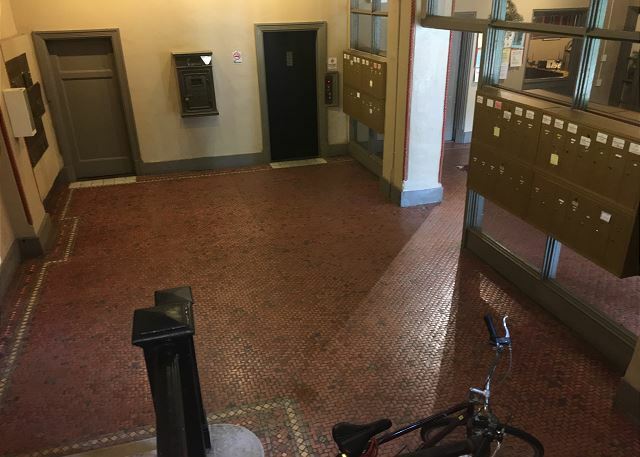 With use of elevator, we could easily roll into and from apartment with a power scooter. I have stayed at Karen and Harold's apartments before and am consistently very pleased. The neighborhood is terrific, the apartments are always clean, well provisioned and comfortable, and the owners have always gone out of their way to meet my needs. Such considerate hosts and such comfortable beds! What more can one ask for? 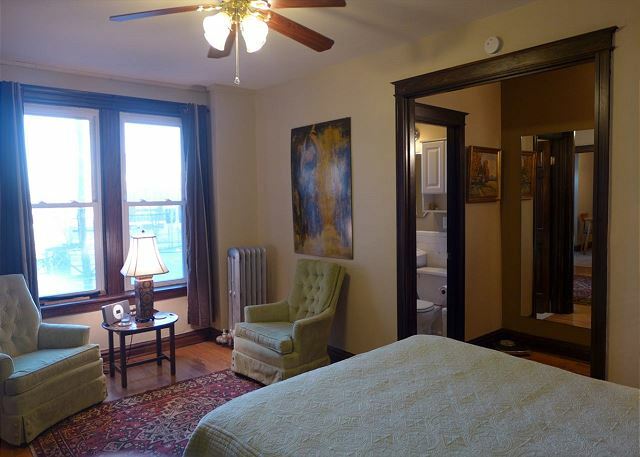 My husband and I needed a short term rental when we relocated to St. Louis from Florida. It was hard to find a month to month place, furnished, with utilities. The Targee fit the bill perfectly for us. The unit had everything we could possibly need to be comfortable until we moved into our new house. Karen, the owner and manager was wonderful and easy to work with. I was at the Targee back in September 2015. I had just sold my home in U. City and needed a temporary place. The Targee had everything I needed. From a comfortable bed to cooking utencils and even an iron. The place was so clean and welcoming! 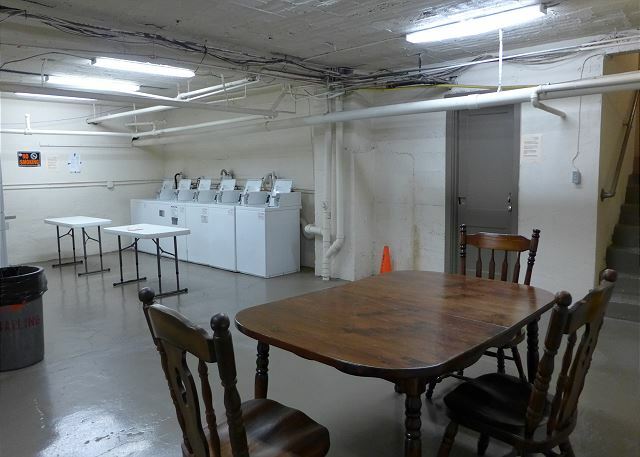 The building is well kept and there is laundromat in the basement. 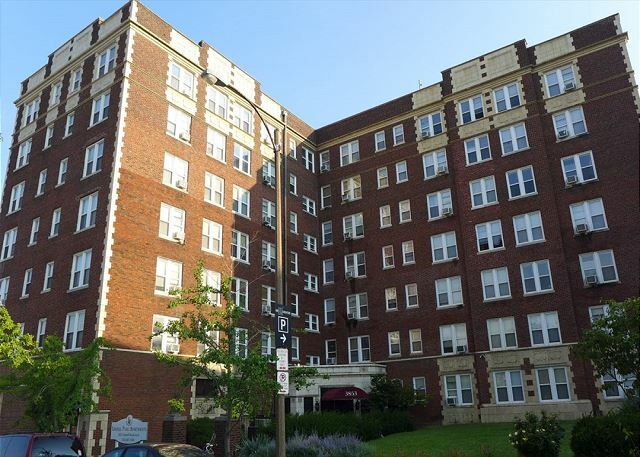 The location is excelent and Schnucks is just a few minutes walk from the building where you can buy groceries. Most days also I was lucky to find a parking space just outside the building. I highly recommend the Targee for those in need of homely place! We needed a place to stay during our granddaughter's hospitalization and Karen made it happen. This property was clean and comfortable with just enough space for my husband and I to relax every evening. The kitchen was just right. Neighbors were friendly and helpful. Grocery store within walking distance as well as many quick stop eateries. Would stay again.